On January 1, 2018, the exclusion from Federal transfer at death taxes a/k/a “Death Taxes” increased from $5.3 million to $11.18 million per person. Due to this increase, only approximate 1800 deceased persons will be required to pay estate taxes in 2018. That is a fair question with a simple answer: death taxes are and have always been, only one component of financial planning. 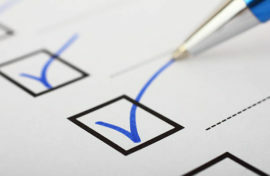 Consider the information in this partial financial planning checklist. Tax planning. Tax planning. Tax savings has always been a key component of a well-crafted plan. Income tax issues are now a primary planning concern for persons of moderate wealth. Basis planning. Assets inherited at death will continue to receive a step up in basis for Federal income tax purposes. As a general rule, you do not want to directly gift low basis assets during your life time. Consider “upstream planning” – gifts of low basis assets to older family members – who then leave them to you at death. Note: you must hold the asset for at least one year to get the basis adjustment. Asset and creditor protection. Ask yourself the honest question: Do I need to protect the assets I will leave to my heirs from creditors? Are my heirs capable of making independent financial decisions or should I leave my assets in trust? Charitable giving. Keep in mind that there will be no tax benefit in making charitable donations at death unless the decedent’s assets exceed the Federal death tax limit. If you are 70 ½, consider making charitable gifts of up to $100,000 from your IRA to decrease your required minimum distribution and thereby reducing taxes on this distribution. Gift planning opportunities. The generation skipping tax limit has increased. Consider setting up a dynasty trust for future generations. Portability – Familiarize yourself with the term “portability.” if you and your spouse have an estate with assets that may grow in value (say from an inheritance), then portability is an important matter to consider. As an example, if, at your death, you die with an individual estate valued $6 Million Dollars, you can “port” to your spouse the $5 Million Dollars of unused Federal transfer at death exclusion. Your spouse has his own estate of $3 Million Dollars. After your death, your spouse inherits a large piece of real property worth $10 Million, making his total estate worth $13 Million. By porting $5 Million Dollars of your Federal exclusion to your spouse, your spouse can transfer $13 Million to his heirs at his death free from any death taxes. Strategic Wealth Planning provides comprehensive financial services from wealth planning to investments and insurance. Call us at 214.727.6000 to set up a confidential meeting.